Fons joined Shell in 1981 and moved into the Personnel Division for Shell in Rotterdam. From 1985, he worked in job classification and management development at the Shell Research Laboratories in Amsterdam. In 1989 he founded the Centre for International Business Studies, a consulting and training organization for international management. Since 1998 we operate as Trompenaars Hampden-Turner. 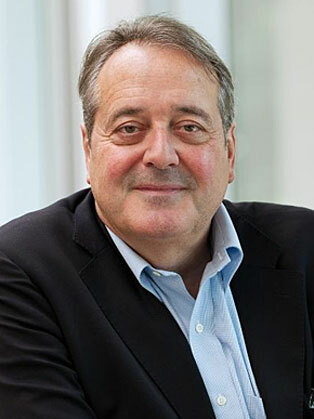 Fons Trompenaars has worked as a consultant for Shell, BP, ICI, Philips, Heineken, TRW, Mars, Motorola, General Motors, Nike, Cable and Wireless, CSM and Merrill Lynch. Fons Trompenaars is known all over the world for his work as consultant, trainer, motivational speaker and author of many books on the subject of culture and business. He has spent over 25 years helping Fortune 500 leaders and professionals manage and solve their business and cultural dilemmas to increase global effectiveness and performance, particularly in the areas of globalization, mergers and acquisition, HR and leadership development.